You must be a member of the Milan Wine Enthusiasts Group to attend this activity. Would you like to join this group? On Saturday, 26 January we will go for an exciting tour that will combine two Italian excellences: wine and Balsamic vinegar. Our tour will start with the visit of Protected content , probably the most well known Lambrusco winery and will touch as a second stop Protected content undoubtedly #1 Aceto Balsamico producer. - guided visit in English and Italian to the winery, including tasting of four wines. Cold cuts and cheese will come along with wine. 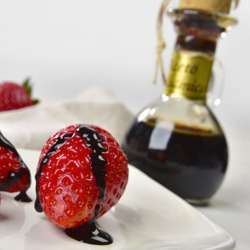 including tasting of 10 different balsamic vinegars! THE VISIT TO THE Protected content IS FREE FOR US! Return time to Milano will be free. At both Protected content we will have the opportunity to buy their products. Attendees will have to use own cars / motorbikes to travel. We’ll try to be smart adopting car (and related cost) sharing. For this reason, subscribers are kindly asked to let us know if they can use an own car (how many free seats?) or need a hike.